Pentagon Jr. was on the precipice of a career defining moment in January. At AAA’s January big show, Guerra de Titanes, he could finally get revenge on the main who’d taken the Latin American championship away from him months ago, and be the Mexican hero who up stopped loud mouth American Johnny Mundo at a very patriotic moment in Mexico’s history. The AAA crowds had reacted to Pentagon like a big deal the last few months and the rematch would be back in the same city where Mundo had stolen the title, the home base of the company. Everything was perfectly lined up for Pentagon to win and become a top star for AAA. Pentagon lost. Pentagon left AAA twenty four hours later. He wasn’t alone. Guerra de Titanes was preceded by unhappiness and followed by chaos, the status quo for AAA the last couple of years. Behind the scenes, Pentagon and AAA had disagreements for months. AAA was certain Pentagon was leaving, so they not only booked the loss, but told him that was the end of the feud, he would be no revenge. AAA turned out to be correct about Pentagon leaving, though even they had no idea Pentagon would show up at The Crash the next day, and maybe it would never have happened if AAA’s didn’t mess up the relationship. AAA might have figured Garza Jr. was leaving too—he also lost on that big show in a spot where he could’ve used a win. AAA absolutely didn’t know Daga was leaving, since the show ended setting up Daga/Mundo as the next big match. And AAA didn’t know Zorro was leaving the company, catching them off guard when he gave notice after the following set taping. The desertions have ceased for the moment, but AAA’s roster has eroded down to the most loyal AAA luchador backers, those who doubt they’d get the same chances elsewhere, and the singularly unpredictable Dr. Wagner. AAA’s still got talent, not nearly as much as they had a couple years ago, but desperately need some sort of change of leadership to fix their problems. Or, re-enter Vampiro. He’s been in and out of AAA over the years, and has now returned officially again as the head of talent for both AAA and Lucha Underground. There’s some merit behind choosing him, he’s gotten some positive reviews as an agent in LU as a creative influence, and he’s still a recognizable star and a persuasive personality. It’s still an odd fit, because any AAA turnaround is going to take a long term commitment, and Vampiro’s been known for short stints and moving on in Mexico the last decade or so. Lucha Underground’s been a perfect set up for him, weekends of tapings and plenty of breaks to handle other business, while AAA is a daily battle in the trenches and a lot of people management. Vampiro’s not an ideal choice for this spot, but this is the effects of having the same few people being in positions in power in lucha libre – there’s not many qualified people for these jobs. Vampiro appears to come in with a new creative direction; either he has a big hand in the storylines or there’s other people who have been quietly been added. AAA’s TV been largely a boring joyless march to Psycho Clown vs Dr. Wagner, with short undercard matches and bloated main events, for about six months. This past week’s TV, evidently the first under a new direction, had shock title changes, rare in-ring promos, actual mid card singles matches, and Vampiro as the all powerful but unseen Oz of the show. It was way too much of Vampiro. The new guy in charge being put over as awesome in every segment is a usually a bad sign, but it was a different kind of bad than AAA had been doing. The timing is of the change is difficult Vampiro’s taking over just before Rey de Reyes, AAA’s show this Sunday in Monterrey. ¡Comienza el fin de semana #ReyDeReyes! It’s typically AAA’s second biggest show of the year. 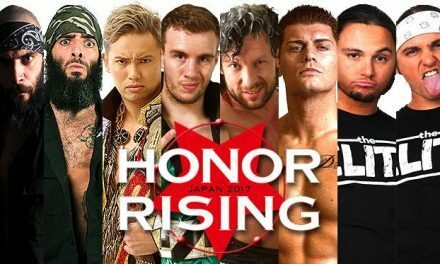 The show is not on iPPV this year—as with everything with AAA, there’s plans to do things but not the ability or manpower to get them—but will start airing as part of their TV show a week from Saturday. The show was originally scheduled to be in the 11,000 seat bullring, and was quietly moved to the 4,000 secondary lucha libre arena in town before tickets were put on sale. It’s an admission AAA doesn’t have the matches to fill the big buildings right now, but they’ve actually done pretty well with the small-mid size places despite the talent loss. The lineup for this show was made before the creative change. That new creative tore up the last TV show, changing almost every match on the card during the show. It’s possible that’ll happen again on Sunday. It probably should happen again, given the questionable nature of most of this card. AAA’s done very little to promote most of the matches, and everything continues to take a backseat to hype for the Dr. Wanger versus Psycho Clown match at TripleMania. Faby Apache vs Mary Apache vs La Hiedra vs Lady Shani vs Goya Kong vs Big Mami vs a mystery woman for an immediate Reina de Reinas championship shot. It’s the entire AAA’s women division in one match! The championship has essentially been dormant for a year and a half (or coincidentally the moment Konnan left town.) The only women who are over are Taya and the Apaches, who all appear to be very against the idea of working against each other. The Apaches have been airlifted out of the women’s division to face men instead as a solution to give them something to do, but have left Taya with nothing to do. AAA’s finally attempted to remedy this by giving usual also-ran Lady Shani a winning streak, leading to her challenging Taya back at Guerra de Titanes. 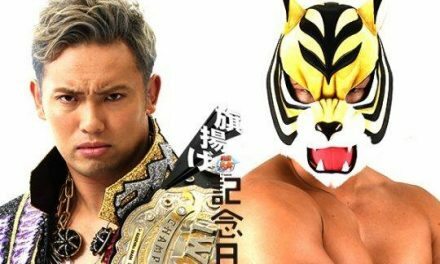 Instead of just having that direct title match, AAA’s running a title shot match as well. This match has gotten about 10 seconds of build since the Shani/Taya challenge, and they’ve downplayed Shani enough since that challenge where they might have just dropped the idea. That still would be the most interesting option; Shani’s looked good in some tag matches, but hasn’t had a single chance yet. Mystery people on AAA shows are usually disappointments, but the mystery woman option might actually be a good and possible things this time: Ayako Hamada is hanging around Mexico, and his history in AAA. She might give Taya the best possible match. The contender match has too many iffy luchadoras (Big Mami, Goya Kong) to be a good watch, but Taya should be able to have a decent match with anyone but a comedy winner. AAA probably should do a title switch here with whoever wins, even if Taya’s sticking around, because they might not remember to book another title match for months. Still, the big question isn’t who Taya will face, but why AAA decided to spend a one third of a big show on a division they don’t have much interest in. This match has gotten zero seconds of build! Maybe things will change on the TV airing the afternoon prior the show, but AAA’s so far not talked about this match at all since listing it on their poster. Maybe it’s just tough to talk about a match which has no reason for it to exist. There are stories here, just none that connect. Rudos Cuervo & Scoria are back on their own with Zorro gone, and have gotten a minor push to prove they didn’t need Zorro in the first place. Mesias & Pagano are also rudos, but are slowly splitting up. Pagano’ turning tecnico—or maybe cool heel to replace Pentagon—and probably should have ditched Mesias after his ‘partner’ caused him to dive thru a table by mistake. AAA usual storytelling pace would mean Pagano’s got to wait to finally strike Mesias for a few more months, so they can time their big singles match for TripleMania. Maybe it’ll be different for this split. The creative change could give this match more meaning than filler as appears on paper. There’s no reason to cage stipulation (or the tag title shot), but Cuervo & Scoria are career henchmen and the best use of this match is to give them a new leader. Put them with Mesias, put them with Pagano, just do something with them and heat up the very ordinary split that’s going on by having someone get destroyed in the otherwise pointless cage. Now we’re halfway through this card and still no interesting matches. Don’t worry, it gets better. This is listed third from the top, but it’s the best built and most meaningful match for the show. Aerostar took Super Fly’s mask at the end of the 2014, and they restarted the feud late last year. The big angle this time is Super Fly moving out of the way of a Aerostar dive, causing Aerostar to crash and suffer an arm injury. (It’s not a shoot angle, it’s Super Fly being unprofessional, don’t think too much about it.) The idea is Aerostar will be healthy enough to still have the match, but won’t be going in 100%. Their previous apuesta match was a stock AAA big singles match, overrun by interference and stunt spots, never quite as satisfying as similar matches in CMLL but still with some good action. There’s room for them to improve this time. Aerostar kept his mask last time and will keep his mask this time if the match happens – there’s some danger AAA might call an audible, given whatever they were promising Super Fly had to go way down when they moved the show to a smaller building. Assuming the match happens, these guys are improving just by persisting thru the carnage around them. This feud was restarted before the last round of departures and AAA’s gotten behind Aerostar at least in part due to his cult popularity in Lucha Underground and elsewhere. Still, both these guys were just faces in the crowd before things started to fall apart from AAA, and were unlikely to get a spotlight singles match on any show when the likes of Fenix and Jack Evans were around, and weren’t even getting used a lot when Misterio & Myzteziz were still here. Aerostar’s become the top flyer in the promotion and Super Fly’s gone from fringe TV performer to midcard rudo just by not quitting when everyone else did. They do need to come thru here with a good match, if only to confirm they can be important players going forward and not just leftovers. Monster Clown & Murder Clown are absolutely the leftovers. They were the leftovers of the Psycho Circus when AAA decided to go all the way with Psycho Clown. A deeper AAA might have left them in the early matches, but without many other rudo options and with no strong ideas for getting a year out of a Psycho Clown/Dr. Wagner feud, Psycho’s old friends betrayed him to Wagner for little reason. They’ve since also betrayed Wagner, in a storyline twist AAA hasn’t yet bothered to explain and may never explain. This sets up the two guys who will be fighting in a mask match teaming up, in a plot convenience straight out of WWE, against the people who’ve turned against both of them. Like the other match with mismatched partners, there’s been no build for this match, no explanation of why it’s a falls count anywhere match, and no real reason why Wagner & Psycho should get along to win this match. AAA’s now halfway thru the one year build to that Wagner/Psycho mask match, having no ideas to build to it beyond other people betraying Psycho & Wagner. The match will still do fine, because it’s Dr. Wagner putting up his mask in Mexico City against an opponent who has a credible chance to beat him. There’s just nothing AAA’s done in the ring since Day 1 that’s added to the interest in the match at all, or made either guy come off as bigger stars. Their matches, with unhelpful guys like the other Clowns involved, have weighed down the weekly television show with bloated and repetitive main events. The total focus on that match has also made it difficult for AAA to find time to build other characters. Announcing the match a year ahead of time was a good publicity stunt, but it’s made for a painfully slow slog to the finish. AAA’s Rey de Reyes tournament is traditionally four four-way eliminations matches leading to a four way final, often taking place over weeks leading to this show. This year, it is a three way main event featuring two guys who are friends and a third guy who hasn’t been feuding with either of them. 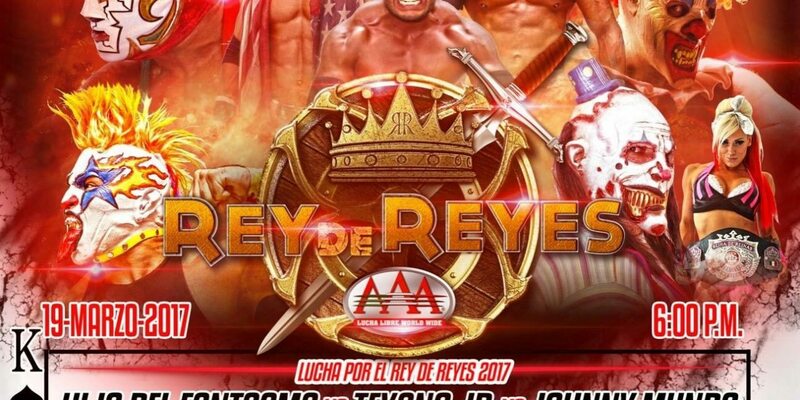 The Rey de Reyes tournament is AAA’s most important annual competition, usually accompanied by a video featuring the past winners. Last year’s winner was Pentagon, so that’s a no go. AAA’s completely downplayed the importance of the match and of the people in it, but paradoxically is headlining the show around this match. 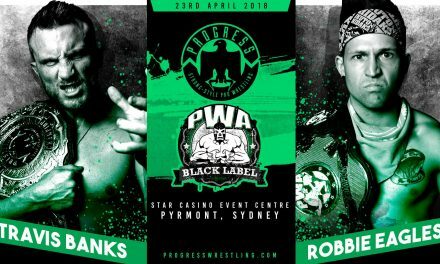 If there’s any creative chance to this match, it seems to be the idea the concept of booking itself doesn’t matter, all that’s needed is a brand name or two. This should be a big deal. These are the three singles champions in AAA – Fantasma holds the Cruiserweight title, Texano the Heavyweight and Mundo is Latin American champion – facing off. Mundo’s the top evil foreigner heel who works hard when comes to AAA, Fantasma and Texano are talented luchadors looking for a chance to prove themselves, it has the makings of a pretty good match. It probably will be one. AAA just hasn’t gotten behind these guys enough to make this match mean what it should. Texano & Fantasma have been drifting for months, rarely given anything to do and mostly just being filler tag partners in other people’s stories. Mundo’s barely wrestling for AAA, and stopped sending in promos to build matches as he did earlier in the ring. AAA’s also manage to get the least of what they have been given, taking lemons and turning them into rotting fruit. In an all time cutting of your nose to spite your face move, AAA edited Mundo’s title defense over Pentagon and Fantasma’s win over Garza off of TV because they were so angry. AAA decided not to show the guys who left, even when they were losing, which meant the guys who actually stuck around have their big wins forever lost to time. If AAA was unwilling to let a scorching hot Pentagon to beat Mundo, there’s no reason a cold Fantasma or a cold Texano should stop Johnny either. The best long term play is Mundo beating Texano, setting up a heavyweight title feud thru TripleMania. The wildcard here is Mundo & Taya are the only two US based Lucha Underground stars who are still working in AAA, with everyone else working for The Crash, as well as Johnny’s old opponents Rey Mysterio & Alberto el Patron. On paper, it’s kind of surprising Taya & Johnny have stayed loyal to AAA, and AAA’s fear of losing them next might cause them to make sure the American loses in the main event. Maybe they’ll even air it this time. Rey de Reyes is not a iPPV, and it’ll be up free on AAA’s YouTube channel in a couple weeks, but even then it’s a question mark if it’s really worth your time. Super Fly & Aerostar should be good for some crazy GIFs at the very least, the main event could be good, and maybe even the women’s match will surprise. It’s possible there’s going to be some good lucha to be found over the course of three or so hours. That doesn’t change Rey de Reyes from being a wreck of a show. The only halfway decent story AAA’s telling (Super Fly/Aerostar) ends here, and there’s not a lot of promising ideas or interesting teased directions on the rest of the card. The best outcomes for Rey de Reyes involve the entire card being ripped out and new matches all around, because what AAA’s turned in was a mess. A new creative direction is more than welcome, but they’ve got a lot of work to do get things pointed back upwards. NextSouthpaw Regional Wrestling, NXT TV, Takeover & more!